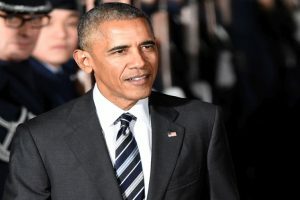 Continue reading "Obama’s visit to Pak unfulfilled due to ‘complicated’ bilateral ties"
The White House said US President Barack Obama would not sign any bill in his final months in office that would undermine the Iran nuclear deal. 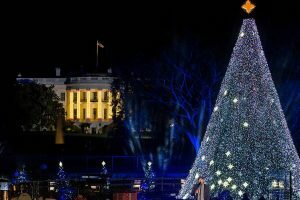 A research published this week showed that the Democratic party has lost nearly 1,000 seats in state legislatures across the country over the past eight years under President Obama. 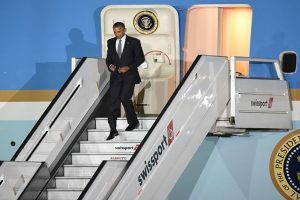 Obama planned to start his schedule in Peru on Saturday morning by meeting with Peruvian President Pedro Pablo Kuczynski. 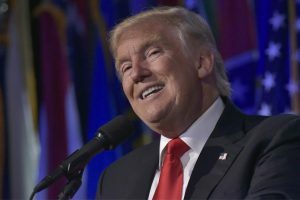 US President-elect Donald Trump has said he would take 1$ as his salary a year and not the 400,000$ that comes with the US president's job and will refrain from going on any vacation. 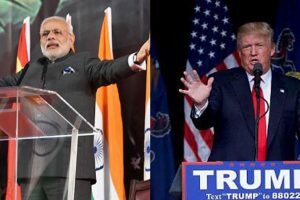 Congratulating Trump on winning the US presidential elections, the US India Business Council (USIBC) has written a letter to him, urging him to invite Modi. 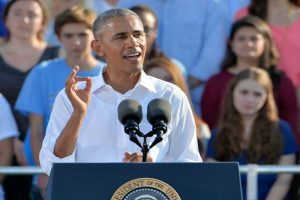 Obama's remarks in an interview with website NowThisNews were his first public comments since Comey's announcement Friday that the FBI had discovered a new trove of emails that might or might not be pertinent to an earlier probe of Democratic candidate Hillary Clinton's handling of classified information. Continue reading "Donald Trump not qualified to be US president, says Obama"
Continue reading "PM Modi meets Obama"
Continue reading "Obama in Laos for first US presidential visit"